Mitzi found herself without a home and thanks to a rescue friend, she was safe and cared for until she could move to our foster program. She is a young beauty who is shy but loves affection, loves to play, loves to do what puppies do! Mitzi has a family who patiently waited to meet her and loved her the minute she walked in the door. We wish her a long happy life in her new home! 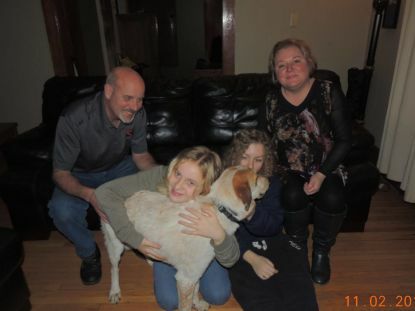 Thanks to everyone who helped Mitzi get her second chance!